OkHi is a Nairobi based startup that’s on a mission to enable the 4 billion people without a physical address to, “be included”. We are building the next generation of an address system in order to increase commerce through better logistics, save lives through improved emergency services and grow access to finance through a better identity system. 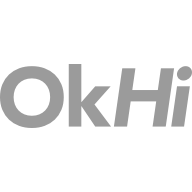 You will join our world class team and be responsible for launching OkHi to 100s of businesses and millions of consumers across Kenya and other emerging markets. If you are motivated by using your development skills to solve a global problem and have a huge impact on the world, then we would love to hear from you. We’re backed by world-class investors, including Nate Blecharczyk the co-founder of AirBnb, Patrick Pichette the ex-CFO of Google and iNovia a Silicon Valley based Venture Capital business. Daily breakfast and lunches cooked by our own Chef!